"I wouldn't want someone cheering me up with sweet words, hiding certain truth because he discovered I am a girl." 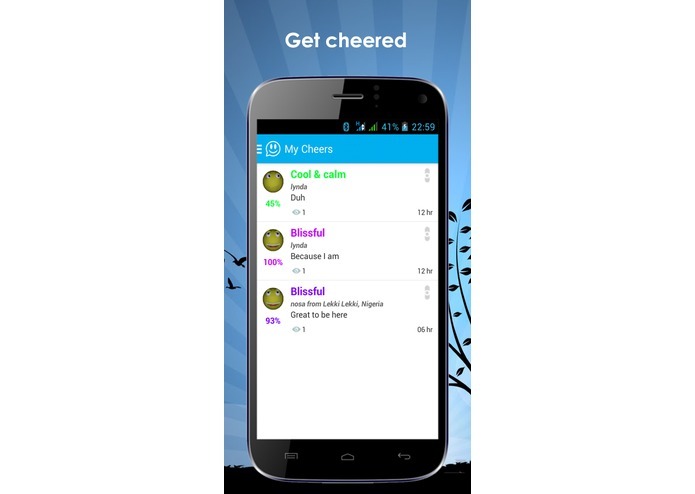 The BlissApp simply connects your cheer to certain individuals at random around the world, based on some algorithm. And at least one of those cheers can put a smile on your face. 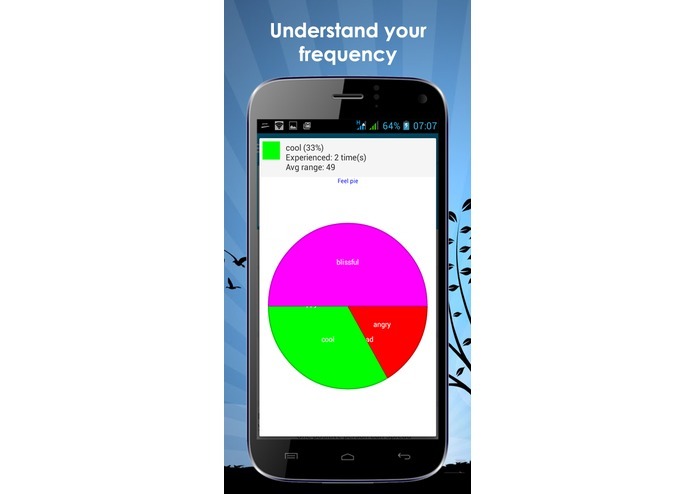 The Art of living foundation (AOLF) so much inspired the development of this app. All they believe in and their cause has given us enough reasons to believe in the world’s happiness. And help spread this with others through the app. Finding bliss in nature is divine. The idea of “How could we bring nature into the app, closer to users?” This was achieved by the display of natural color transitions that clearly represent mood swings. The app is open to everyone in the world of all ages especially those interested in making the world a happy place. 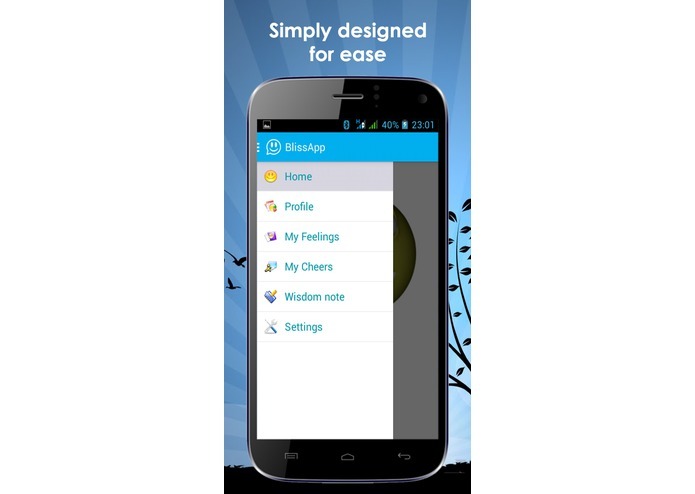 Of all aspect of the app, the most fascinating of them is the ability of users to get cheers from people they don’t really know, this gives the sense of acceptance and peace that someone out there cares about you. 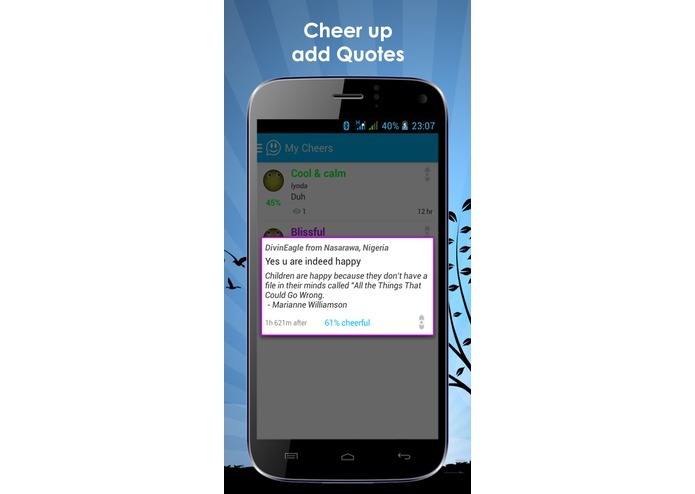 While cheering, you could select and add inspirational quotes from famous personalities, all from BlissApp's database. 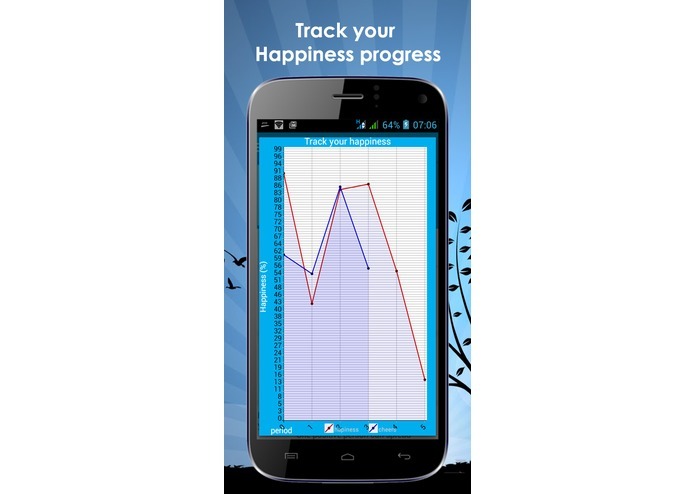 Also, it has been designed with a "FeelBoard" that gives the right information to the user or his/her therapist to help monitor - Happiness progress for a better lifestyle. Born artist, love nature, technoprenuer, love developing automated and computerized processes. In short, a UI & UX consultant.